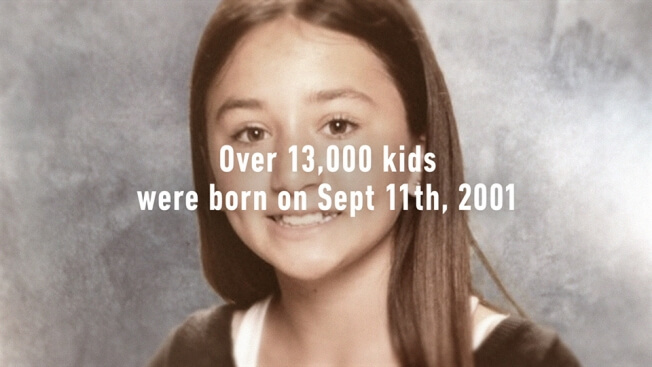 More than 13,000 children were born on 9/11/01. In this campaign from the nonprofit 9/11 Day organization, Americans are asked to do at least one good deed to commemorate the 14th anniversary of the terrorist attacks on the World Trade Center and Pentagon. Teens who share 9/11/01 as their birthday appear in the ads, designed to erase sad, hateful thoughts and to use 9/11 as a springboard for putting hope into action.